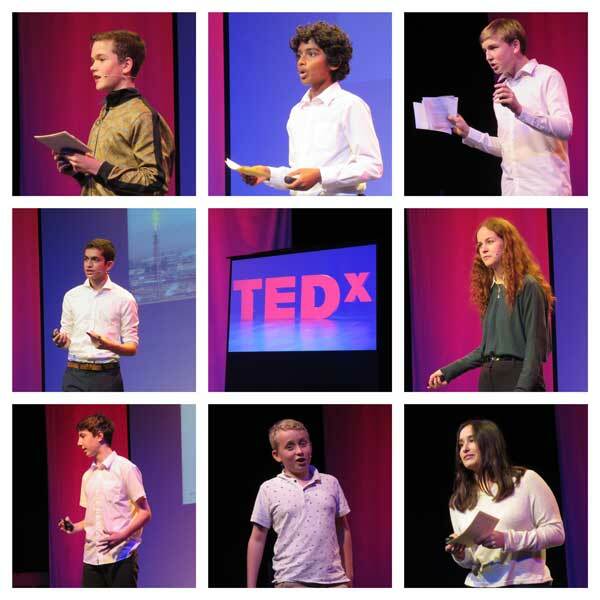 The audience at Blue Coat’s first ever TEDxYouth@rbcs event in November was full of praise for the eight student speakers who delivered talks. The theme of the evening was “How to avoid the end of the world!” and the talks – according to organisers Mr Blackburn and Dr Langdon – aimed at looking at engaging solutions, rather than just the world’s scariest problems. The students – from all year groups at the school – delivered fascinating, well-researched and well-presented talks on supervolcanoes, human rights and modern slavery. the oil problem, alien invasion, colonising planets, nuclear weapons, superbugs and marine pollution. Congratulations to Daniel, Delfina, Dominick, Dulcie, Jake, Nathan, Rohit and Thomas for a hugely informative and extremely interesting evening.